In a star-struck country like India, it has almost become a norm - since the star of the millennium Amitabh Bachchan defeated noted politician HN Bahuguna in the 1984 elections by a record margin - to see celebrities from different fields using their charm to make a place in politics. But while some celebrities work hard to make it big in this field, others gradually distance themselves from politics after losing an election. Former Indian football captain Baichung Bhutia seems to have chosen the second option. The Sikkimese sniper, who was at the Mallaguri Police Lines on Tuesday to inaugurate and give away the prizes to the winners of the football final at the Siliguri Metropolitan Police organized Himal Terai Dooars Sports Festival 2015-16, told this correspondent that he would continue to be a member of Trinamul Congress, but he would not contest any election as a candidate of the party in the near future. “As a member of Trinamul Congress, I am constantly in touch with the workers of the party in the state and whenever I am invited I attend its programmes and conferences. When TMC activists in the hills of Darjeeling seek my help to resolve any problem, I try my level best to help them. I am always at the beck and call of the party high command, but I am right now not in a mood to contest any election as a candidate of the party as I am not ready for it,” he said. 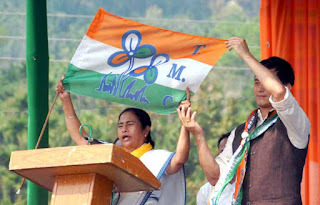 The Arjuna award winner striker, who joined the Trinamul Congress in 2014 and unsuccessfully contested the Lok Sabha elections the same year from the Darjeeling constituency, said he would now use his position in the party to promote soccer in north Bengal. “The initiative taken by the Siliguri Metropolitan Police to popularize the game in Siliguri through the Himal Terai Dooars Football Tournament is truly commendable. A bigger tournament involving the top clubs of the Darjeeling district should be organised soon. I may not be able to build an academy in the hills soon, but I would definitely try to motivate the high-ups in the Trinamul leadership to adopt the best outfit in the district and develop it into a team capable enough to make it to the I-League second division, which is the second-highest division overall in the Indian football league system after the I-League,” he said. Congratulating the Indian football team on its recent SAAF Games success, the most capped Indian footballer said India was able to retain the SAAF title mainly because of some brilliant performances by the striking duo of Sunil Chhetri and Jeje Lalpekhlua. He hoped that the Indian skipper and the Mizo forward would play crucial roles for the Indian team in the coming years. 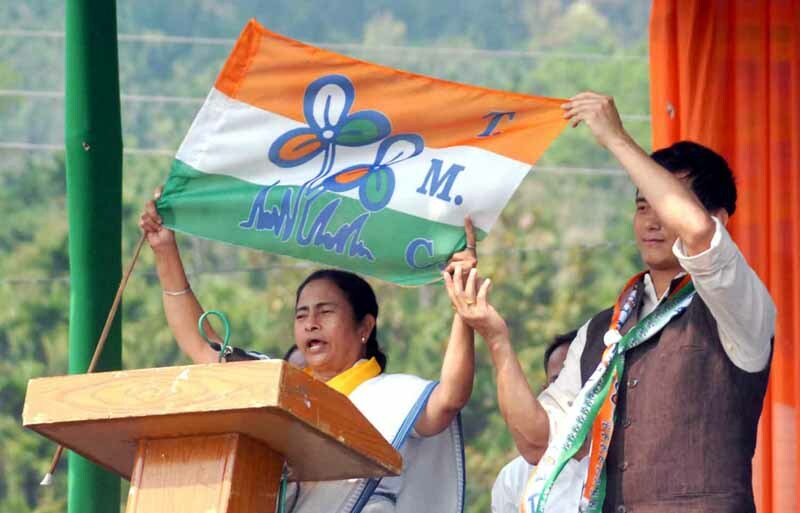 Baichung Bhutia seems to have chosen the second option. The Sikkimese sniper, who was at the Mallaguri Police Lines on Tuesday to inaugurate and give away the prizes to the winners of the football final at the Siliguri Metropolitan Police organized Himal Terai Dooars Sports Festival 2015-16, told this correspondent that he would continue to be a member of Trinamul Congress, but he would not contest any election as a candidate of the party in the near future.